This is a beautiful early vintage jewellery box, dating to the 1930s. 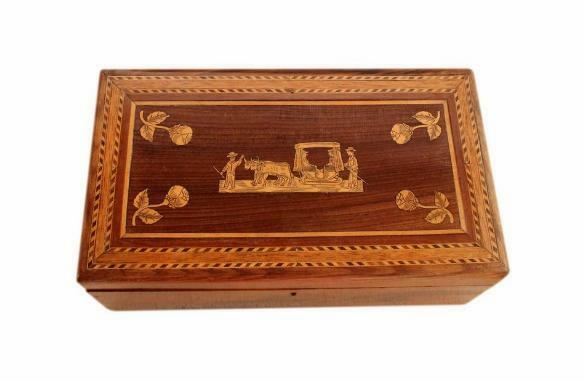 It was made in Madeira, Portugal, and has high quality marquetry inlay. 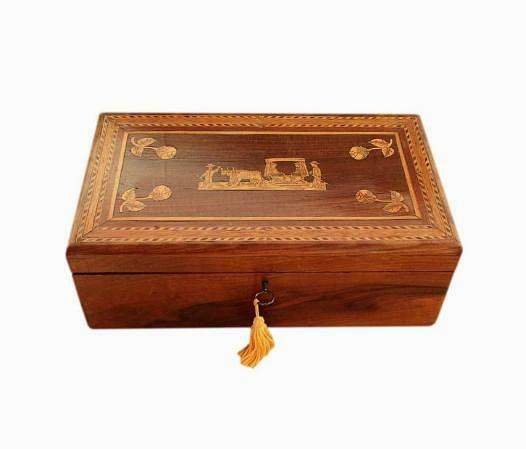 The lid has a beautiful marquetry inlaid panel, surrounded by a geometric inlaid frame. The marquetry features a couple in a Madeiran Oxen carriage (carros de bois), pulled by Bullocks and attended by men in traditional period Portuguese costume. There are also beautiful budded flowers on the panel. The box is complete with its original working lock and key. 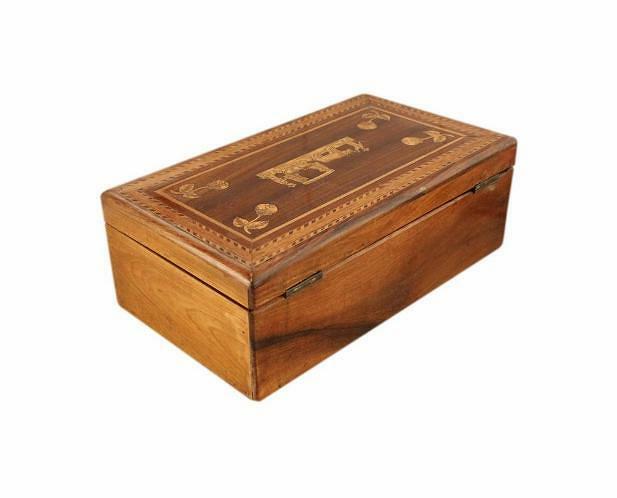 It has quality solid brass replacement 'stop' hinges which prevent the lid from falling back. The bottom of the box has a new felt covering which will protect the surfaces of furniture. This and the hinges have been added by our skilled box restorer. The interior has a single large storage compartment. 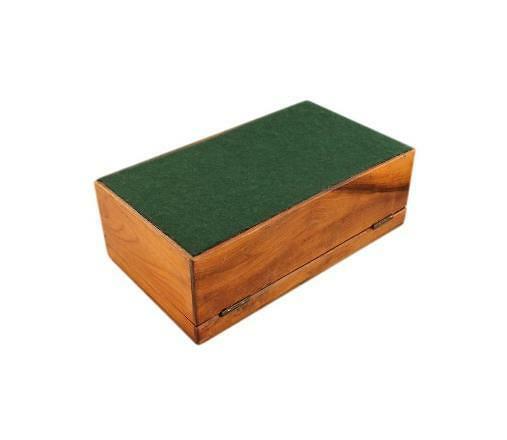 This is deep and roomy, and will hold a good amount of jewellery, including larger pieces such as watches, bangles and beads. The interior has been professionally refurbished by our skilled box restorer. There is a new padded satin panel in the base of the compartment, and the interior walls plus the inside of the lid, all have new satin linings. The satin is a beautiful teal blue colour. 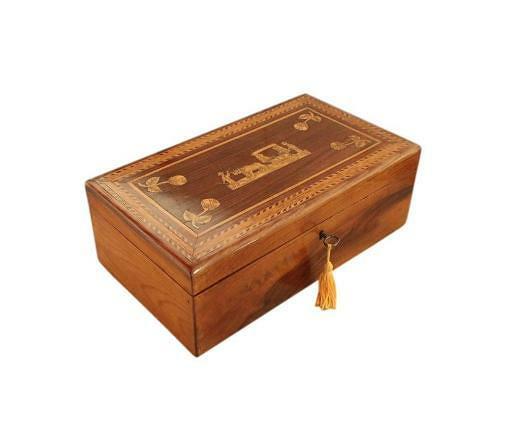 This box originates from the island of Madeira, probably from the village of Monte which is high in the hills above the capital city Funchal. The Oxen carriage depicted in the marquetry is a sedan sled. These carriages with wooden runners were the means of travel during the 1930s in Funchal. Wheeled carriages were regarded as unsuitable because of the city's uneven cobbled roadways, steep hills and sharp bends. The 'Toboggan run' on which these carriages were used is still operated today by men in traditional costume. 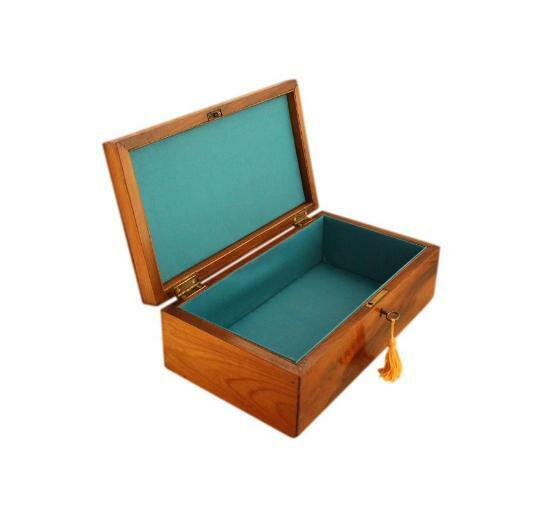 Some printed information relating to the above will be sent with this box. This wonderful box is in excellent condition. It is of sound structure and has only minor light age related wear. The hinges and lock are in good working order, and the interior linings are excellent, being new. All of the inlay is present and secure. We would like to make you aware that antique locks can suddenly malfunction at any time. They are already very old and will naturally have some wear from age and use. We are not responsible for locks that may malfunction from further age and use once boxes are purchased. 25.0 by 13.1cm with a 6.3cm depth.